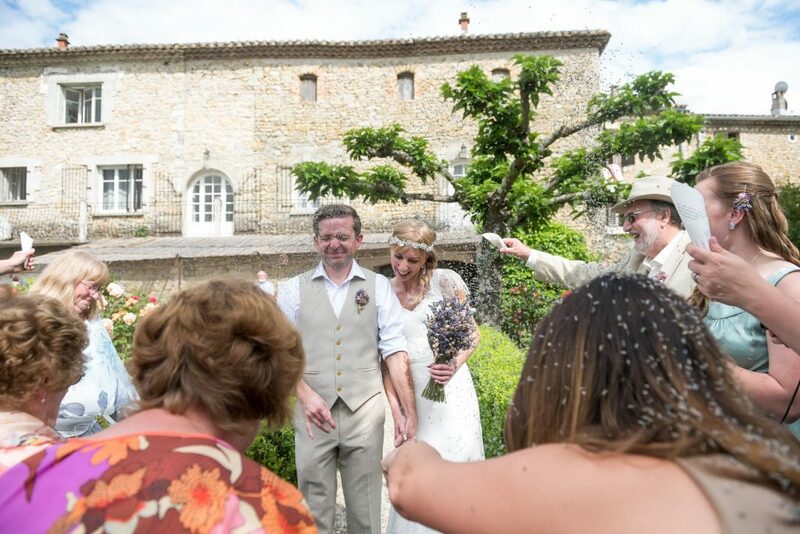 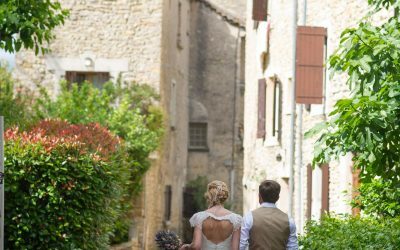 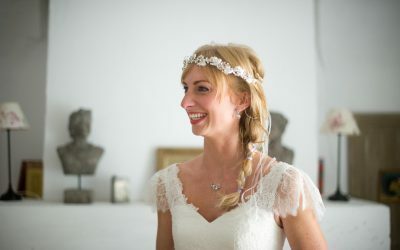 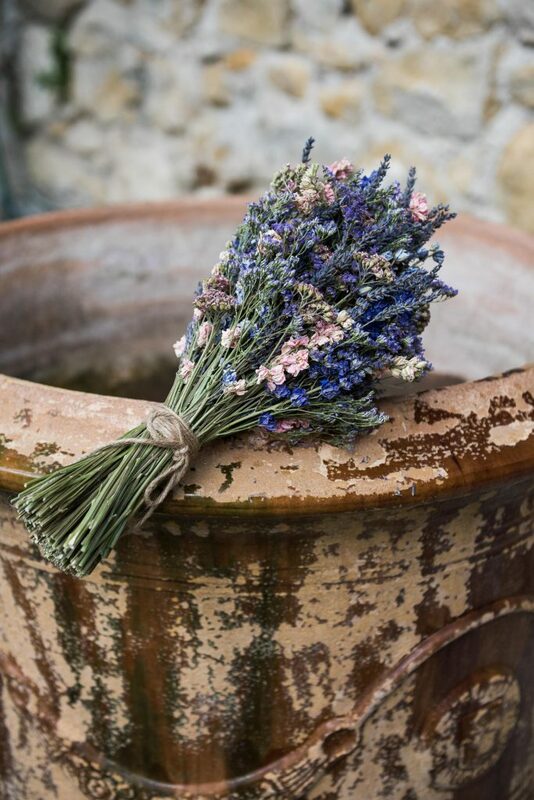 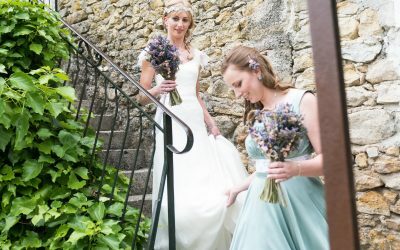 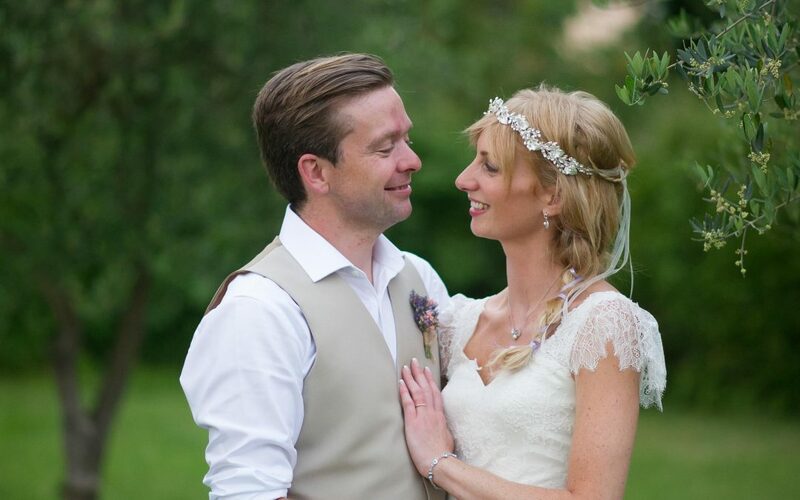 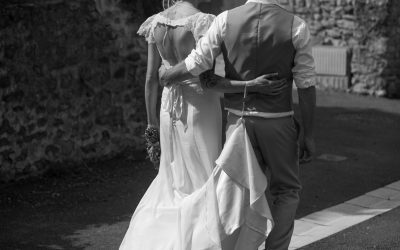 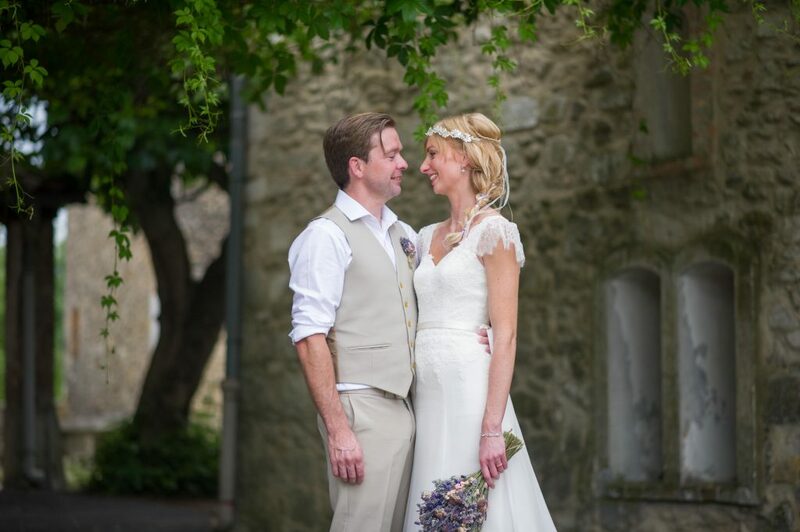 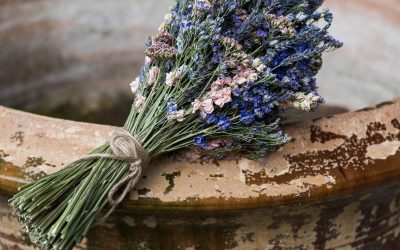 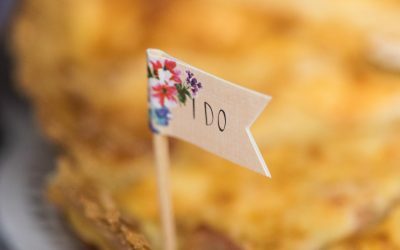 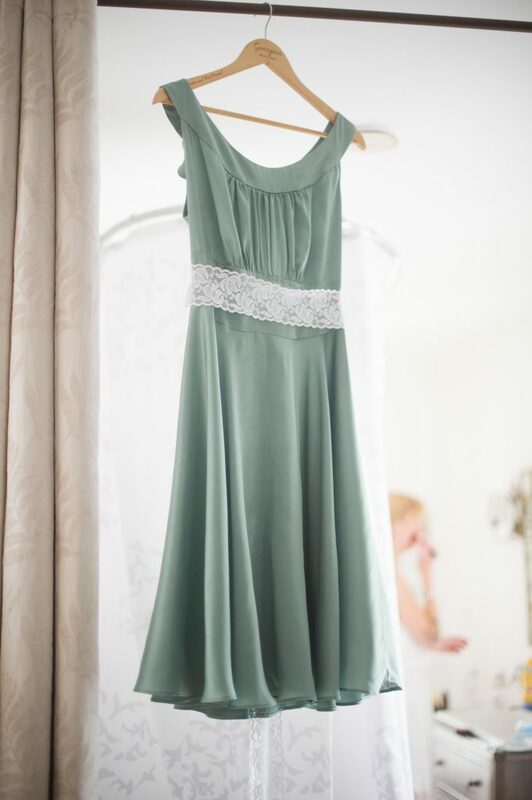 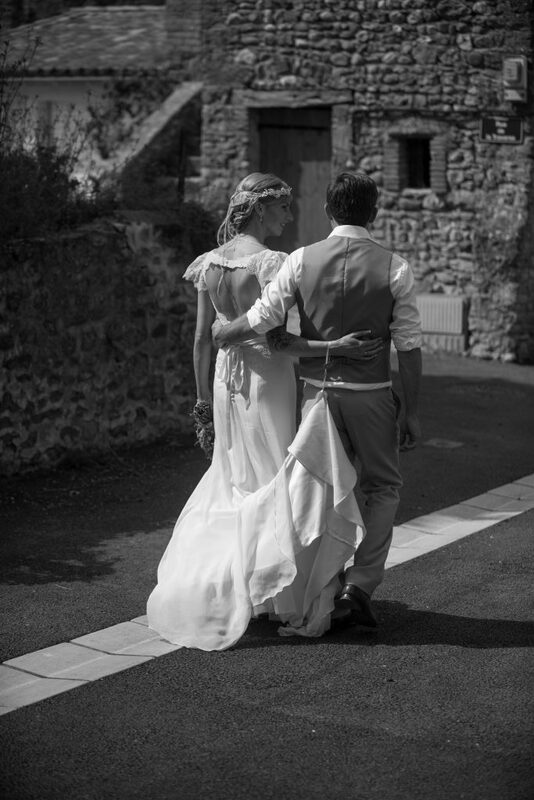 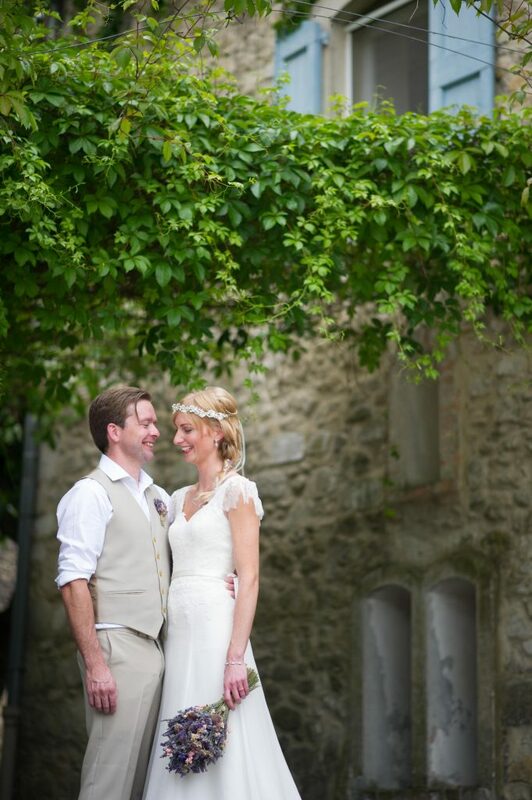 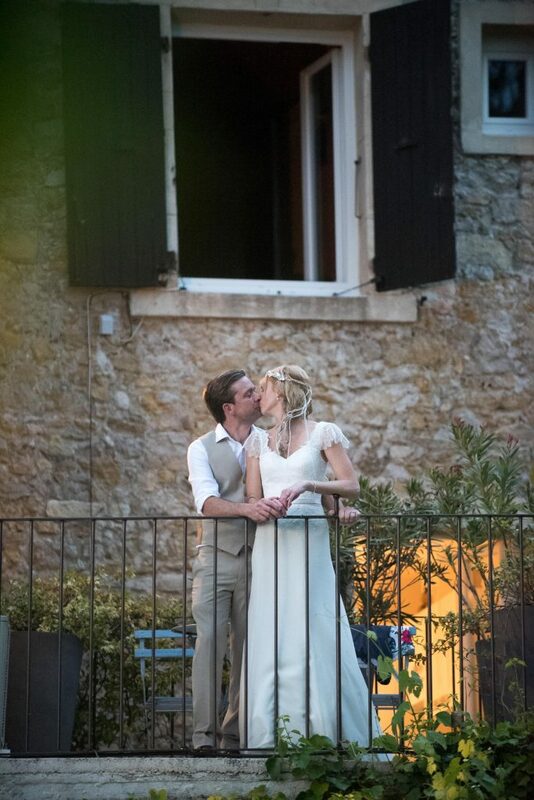 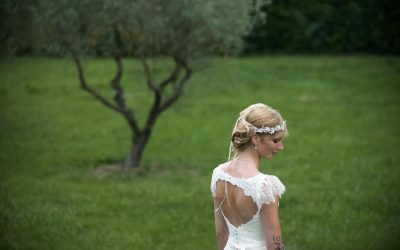 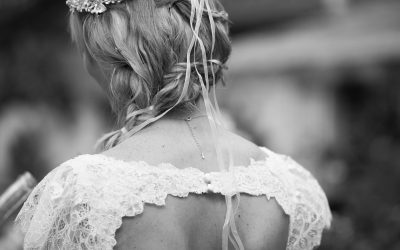 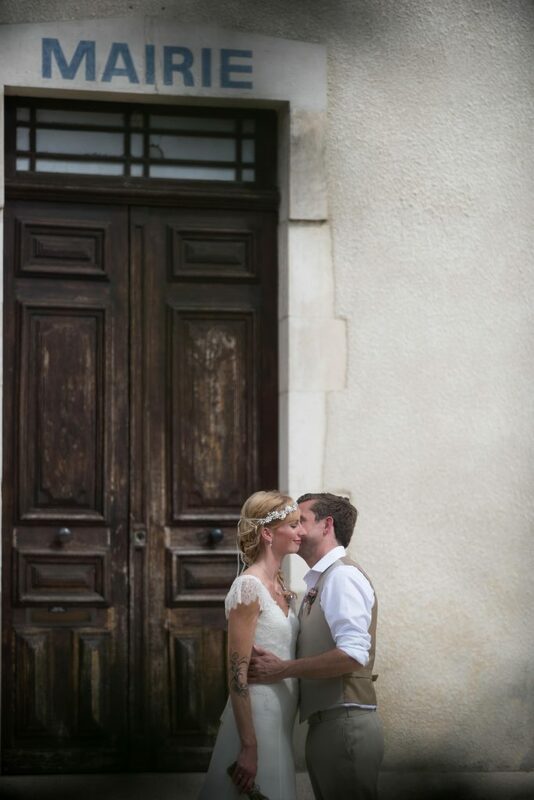 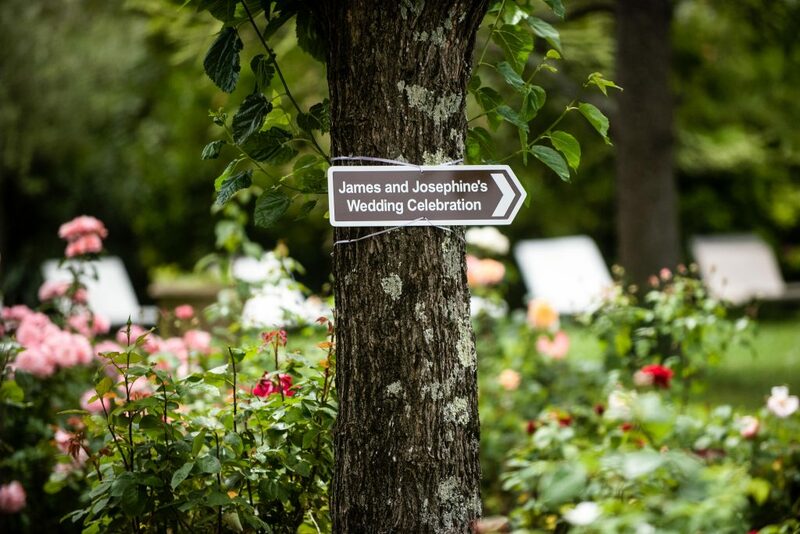 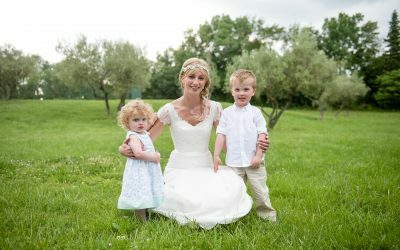 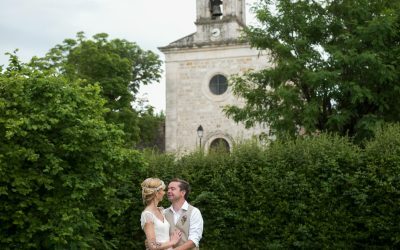 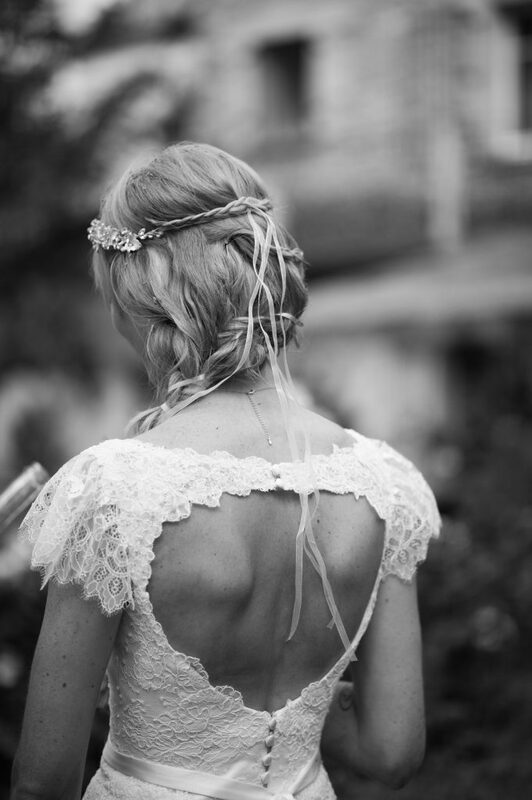 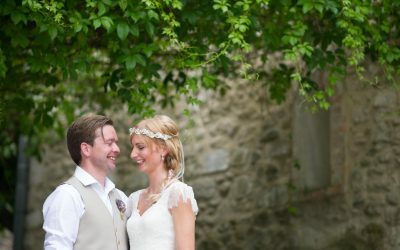 James and Josephine’s wedding was a very relaxed, rustic affair in the stunning Cévennes within the Languedoc Rousillon region, south of France in late spring. 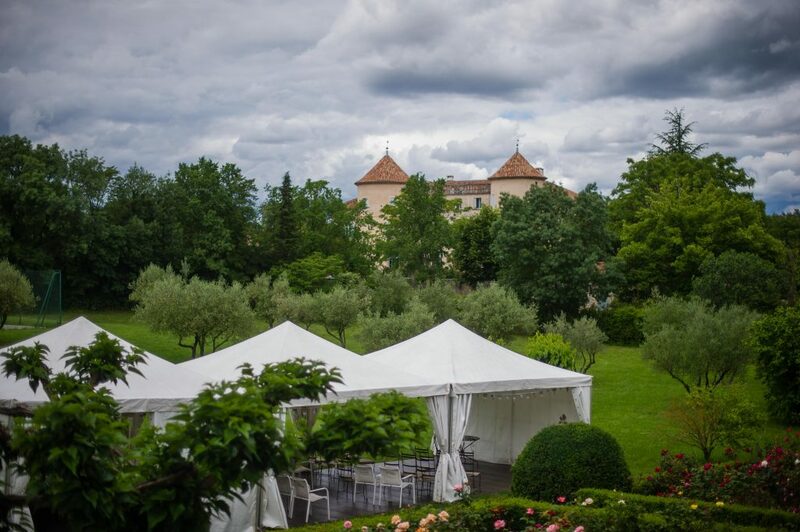 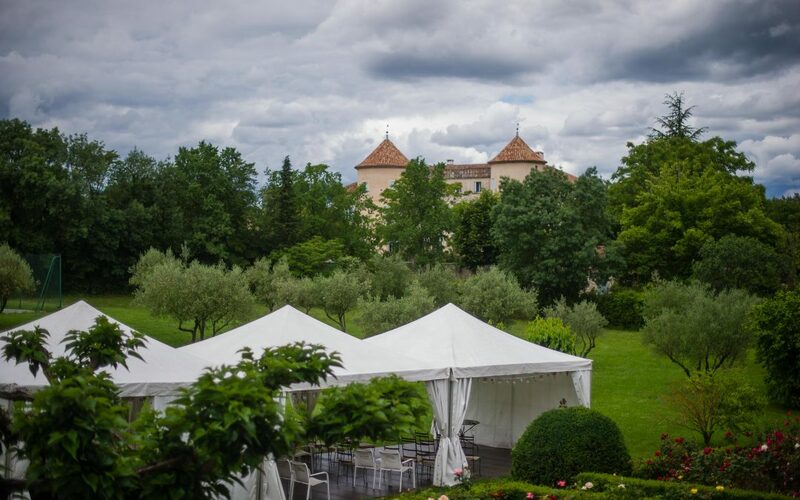 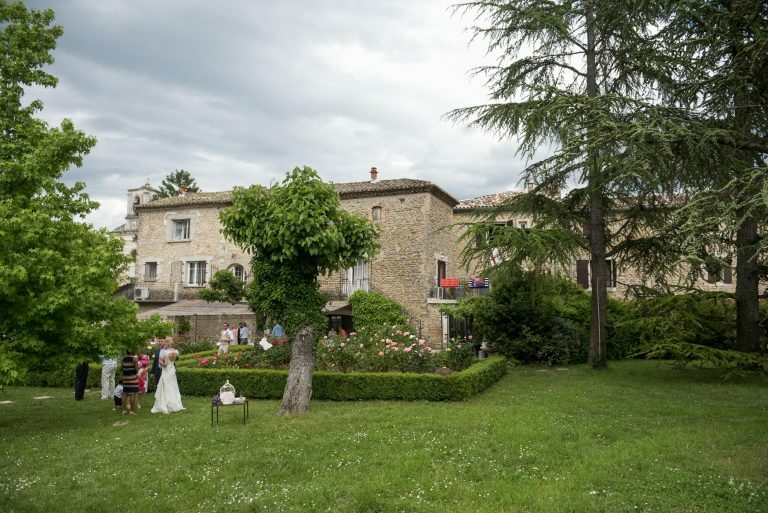 It was such a hot, intense day, with the sun giving way to cloud as the day progressed, the clouds dramatically building against the backdrop of the mountains in the distance as well as the stunning Chateau de Potelieres http://www.chateau-potelieres.com/ in the village of Poteliere. 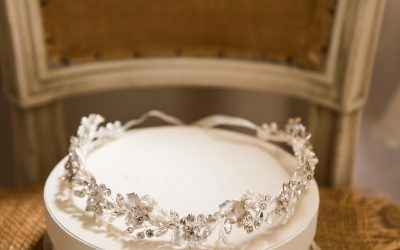 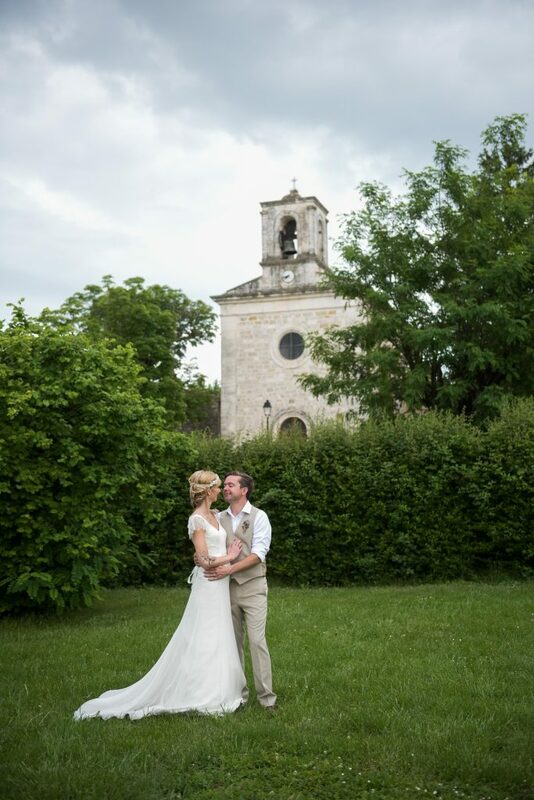 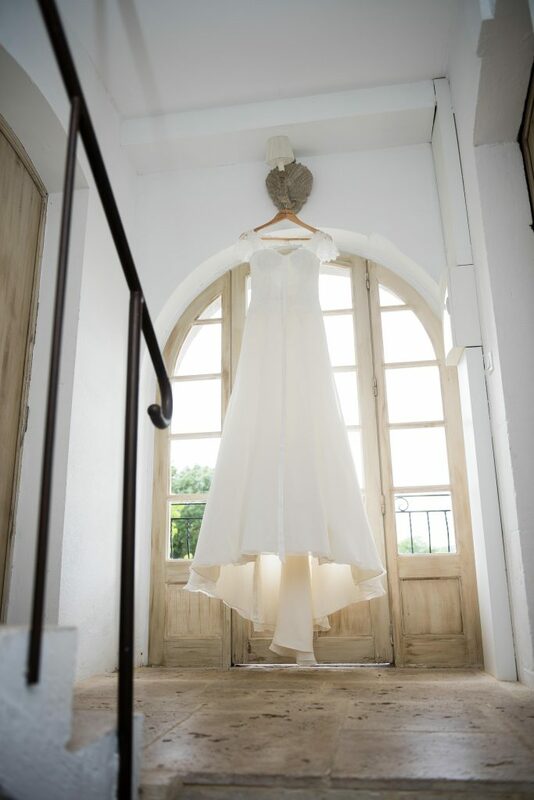 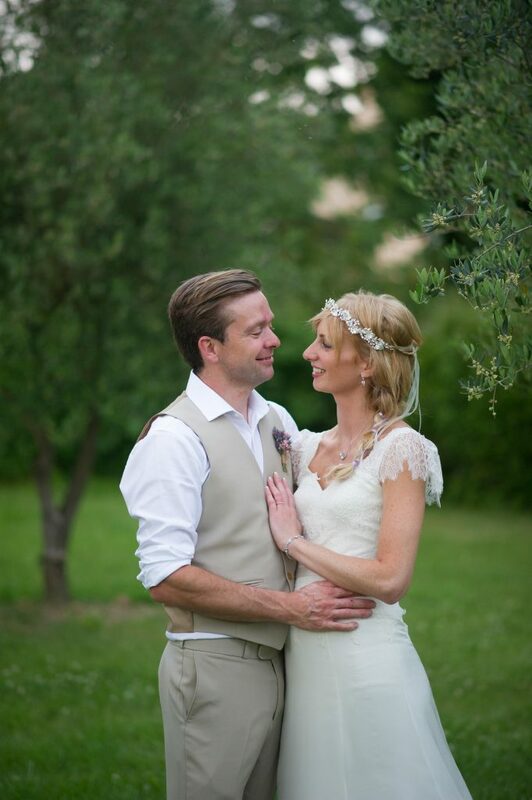 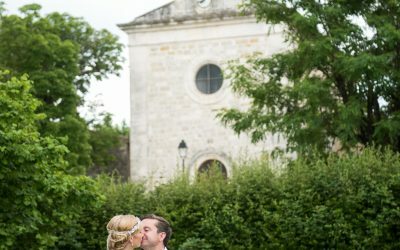 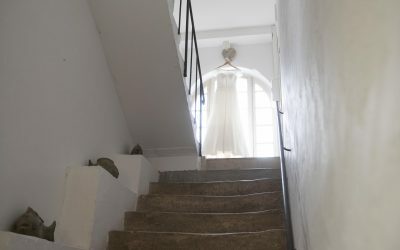 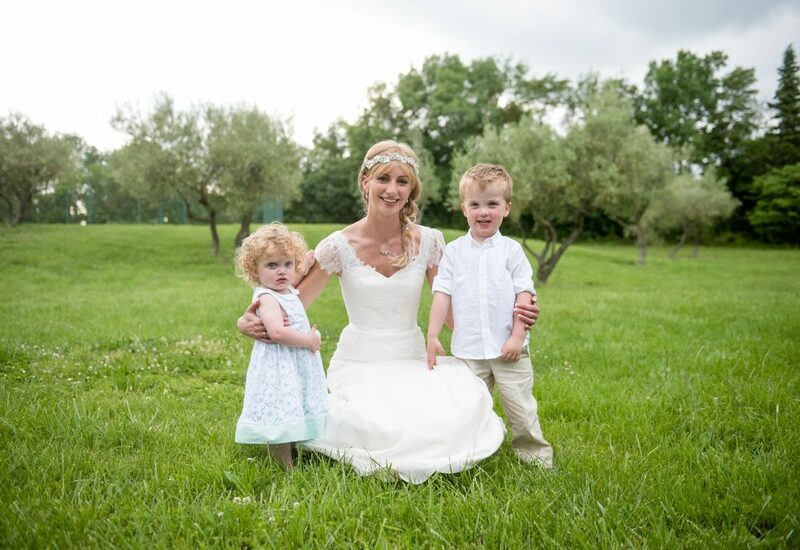 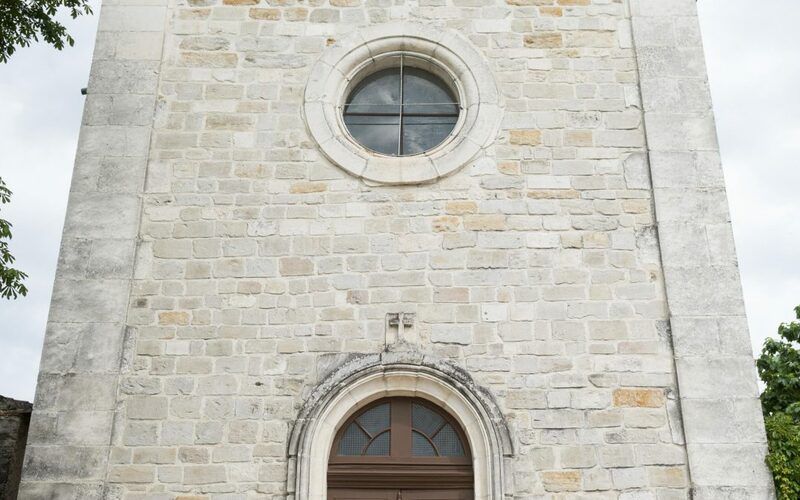 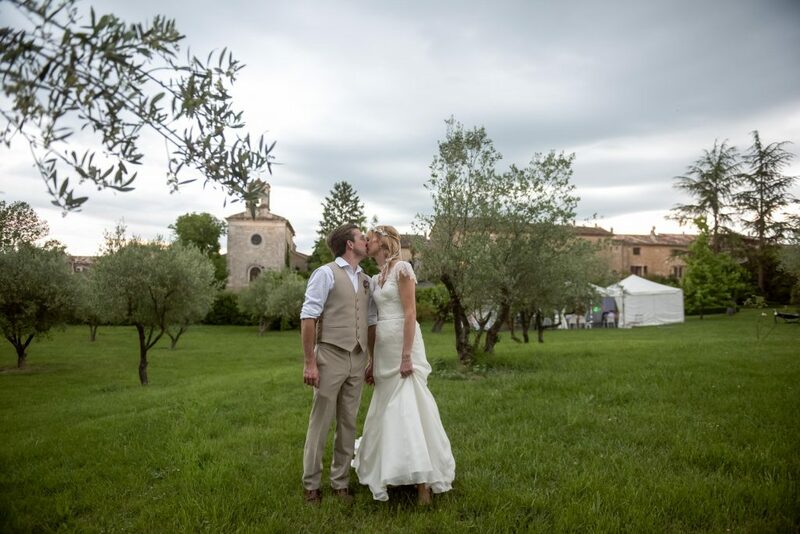 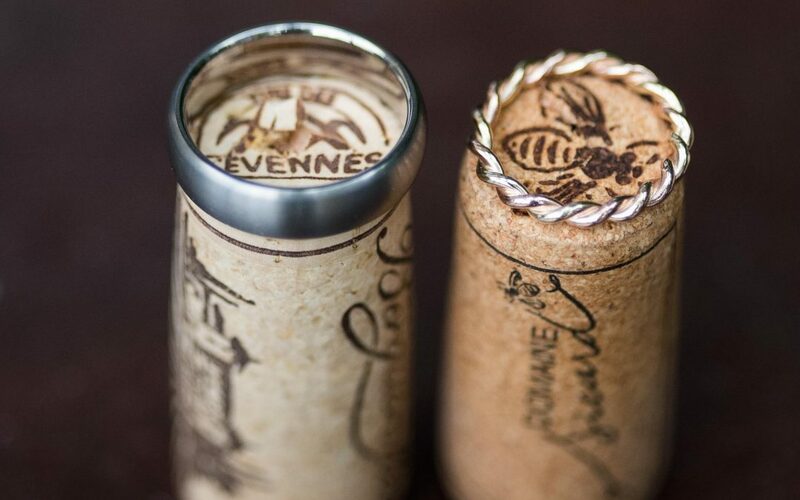 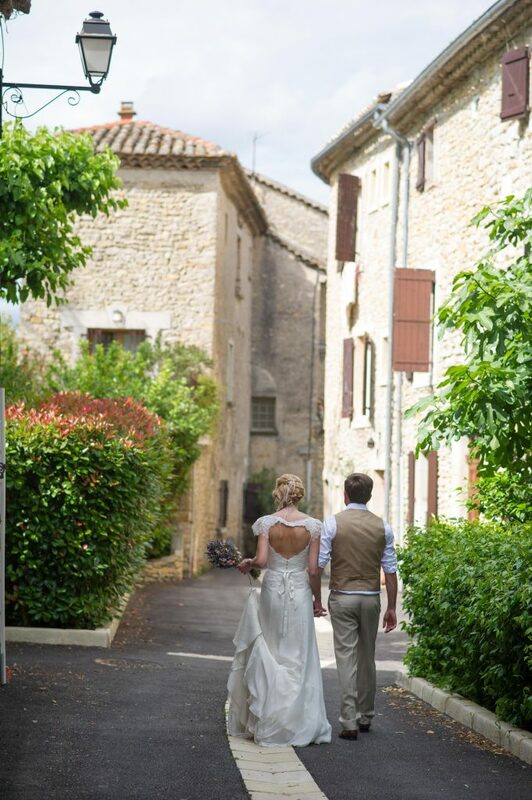 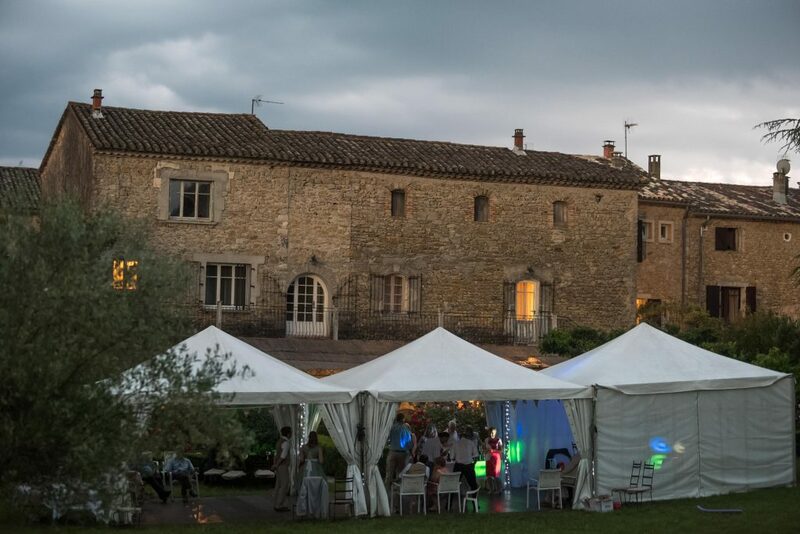 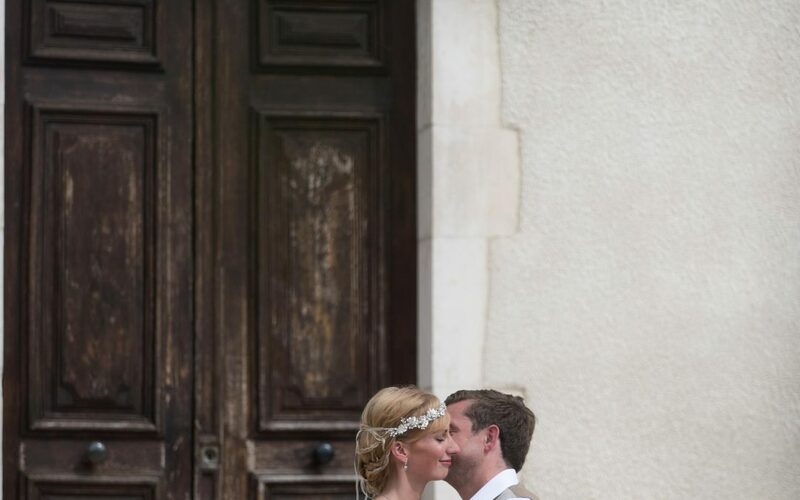 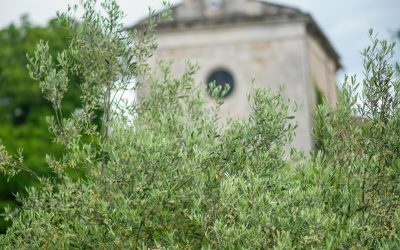 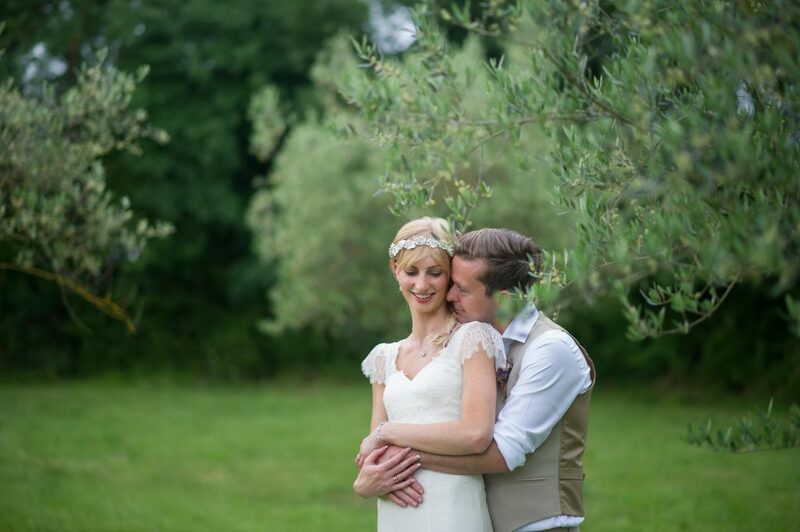 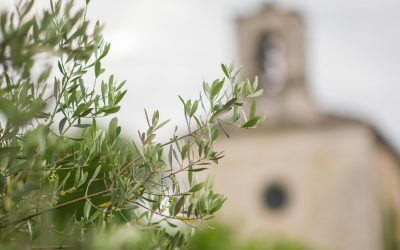 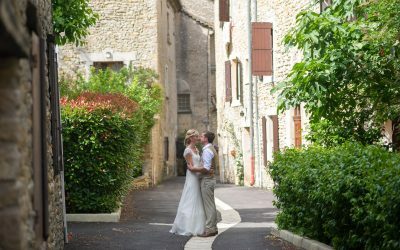 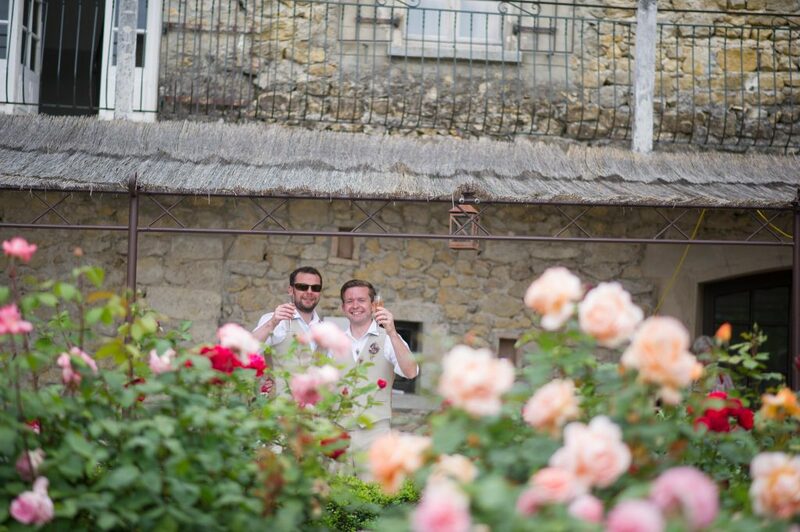 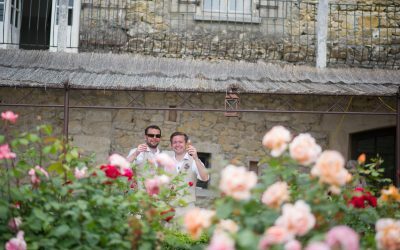 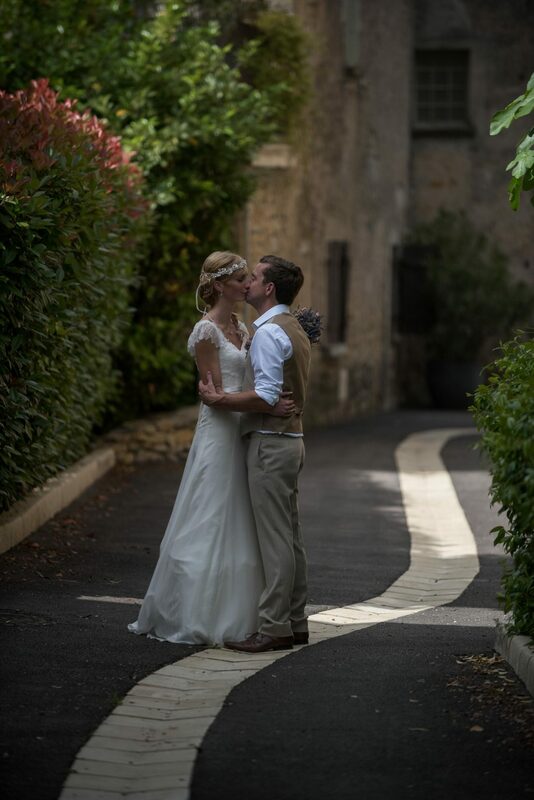 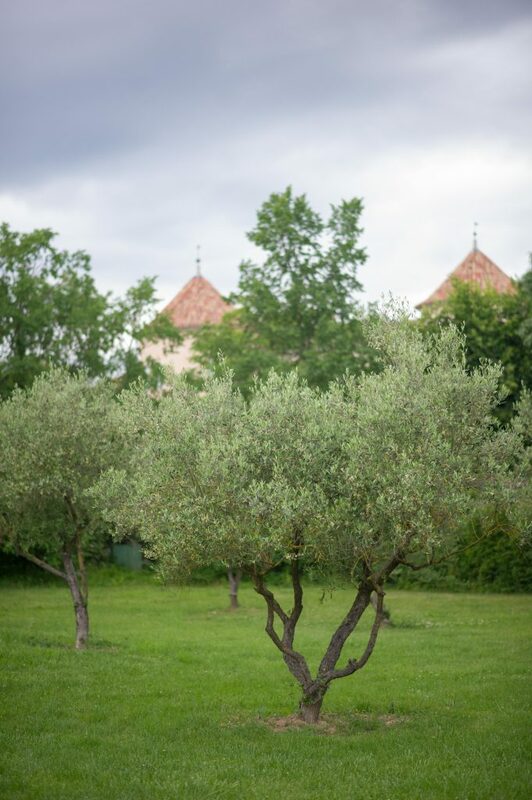 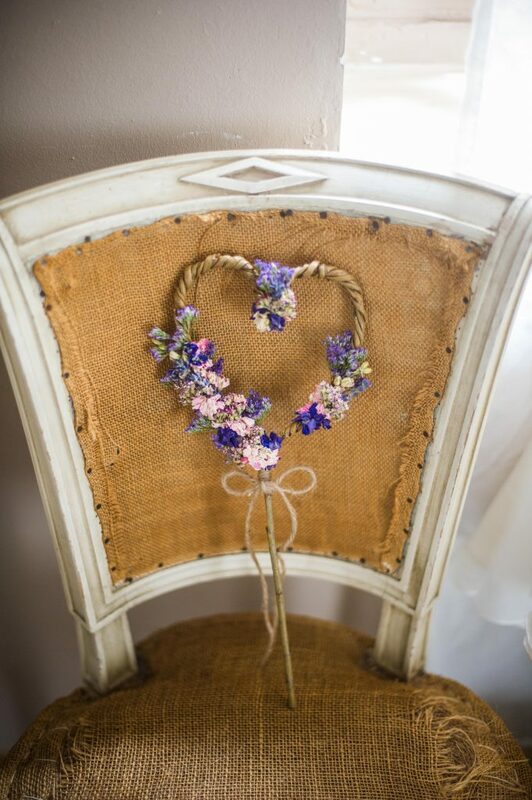 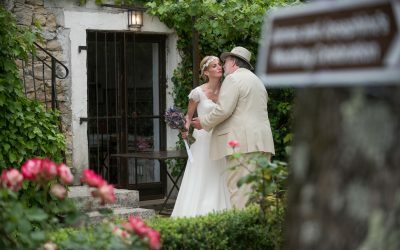 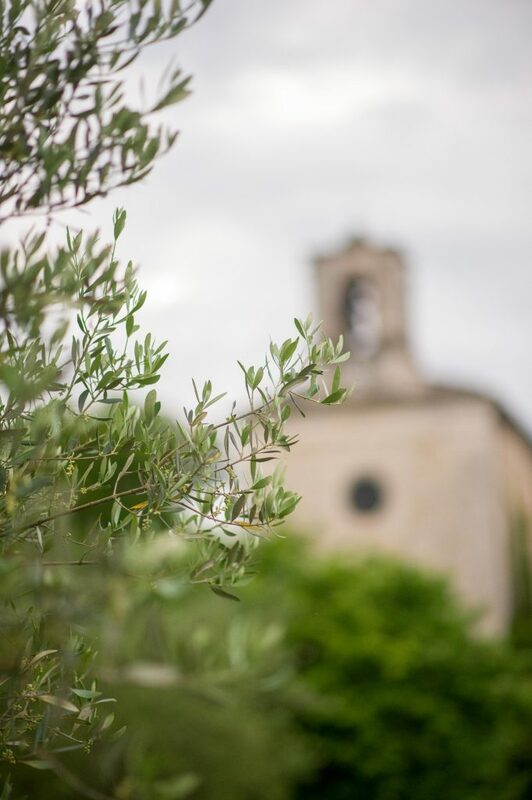 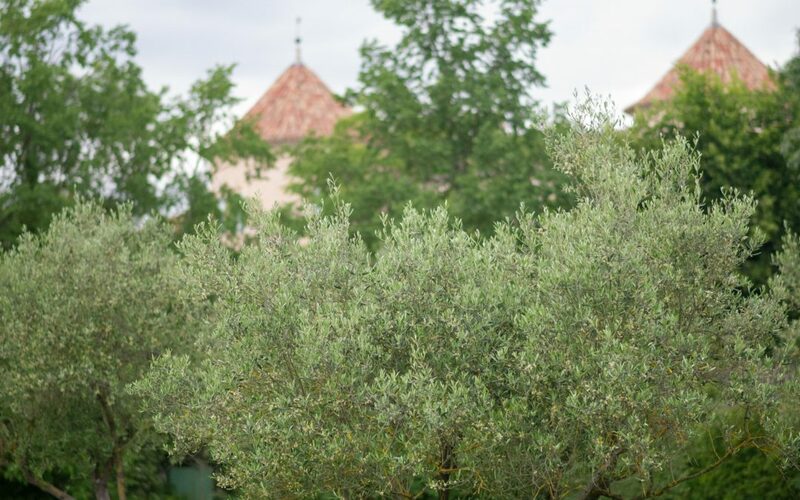 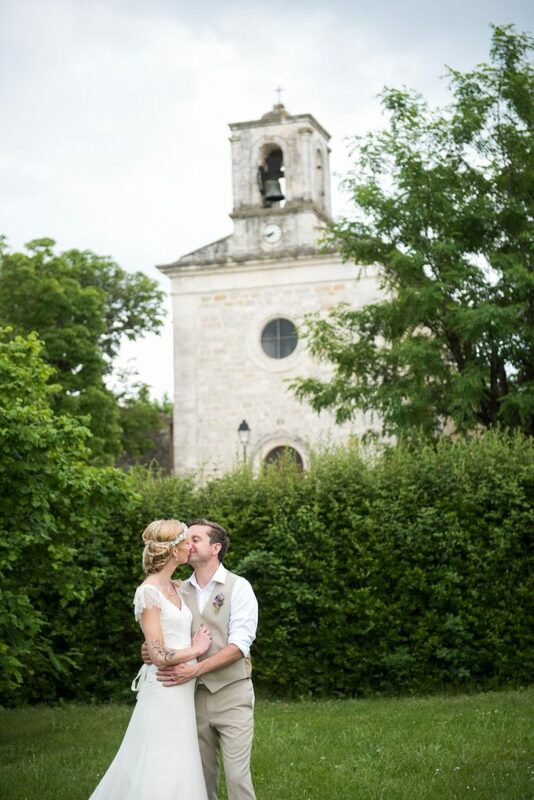 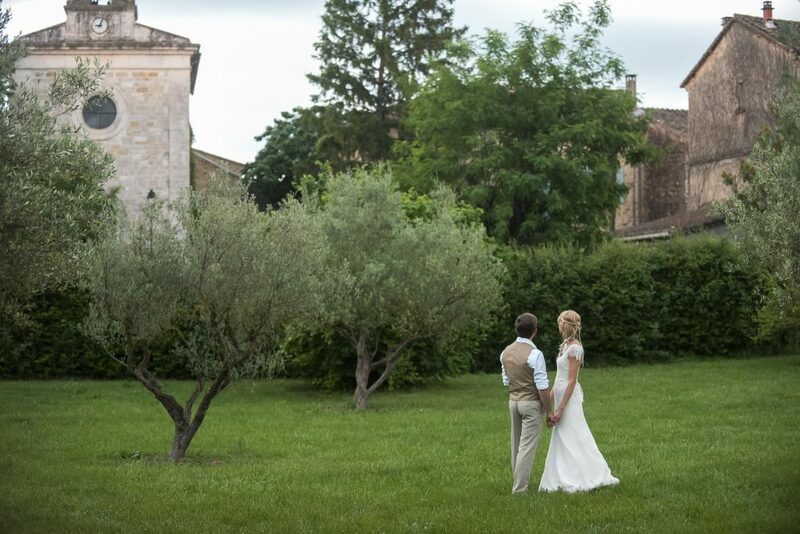 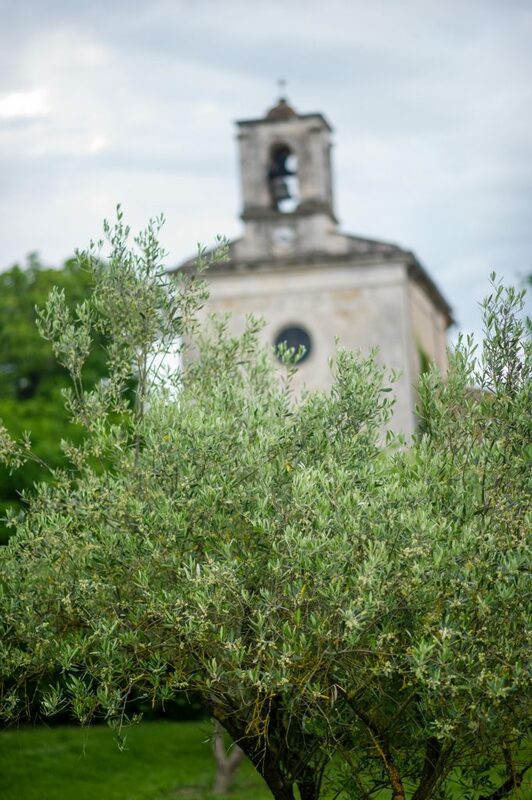 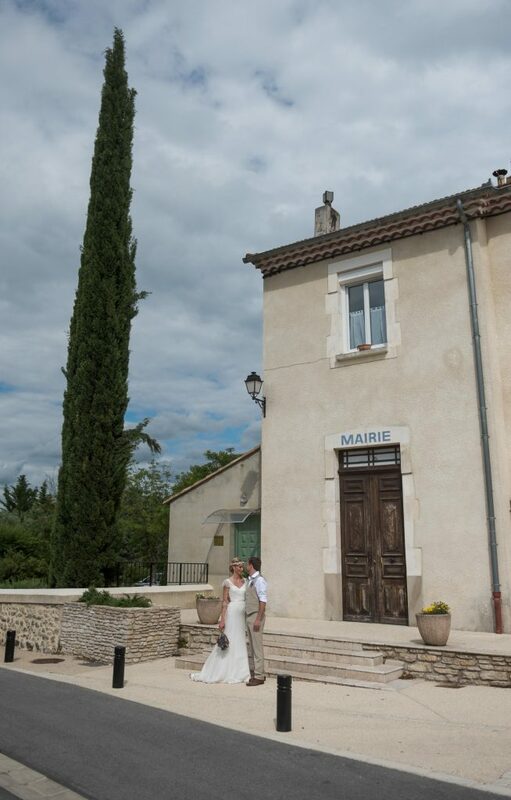 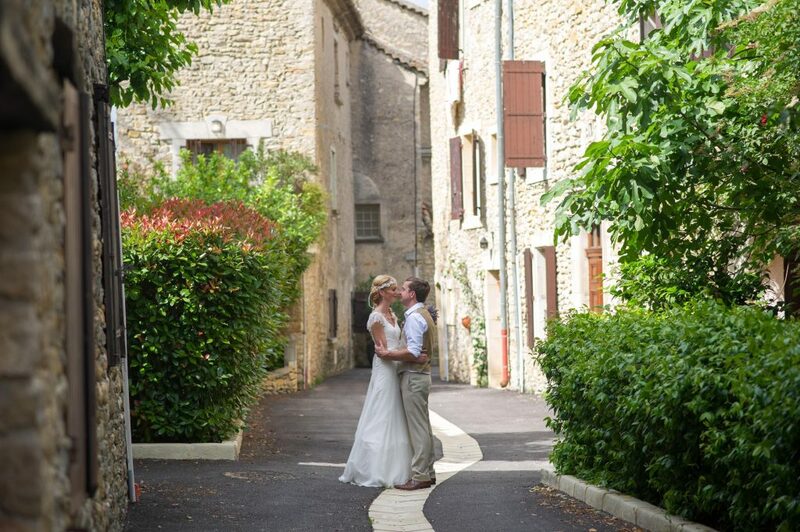 The venue James and Josephine had chosen for their wedding was Domaine Fontaine du Mas, consisting of three beautifully maintained farmhouses set within a village, surrounded by vineyards and olive groves. 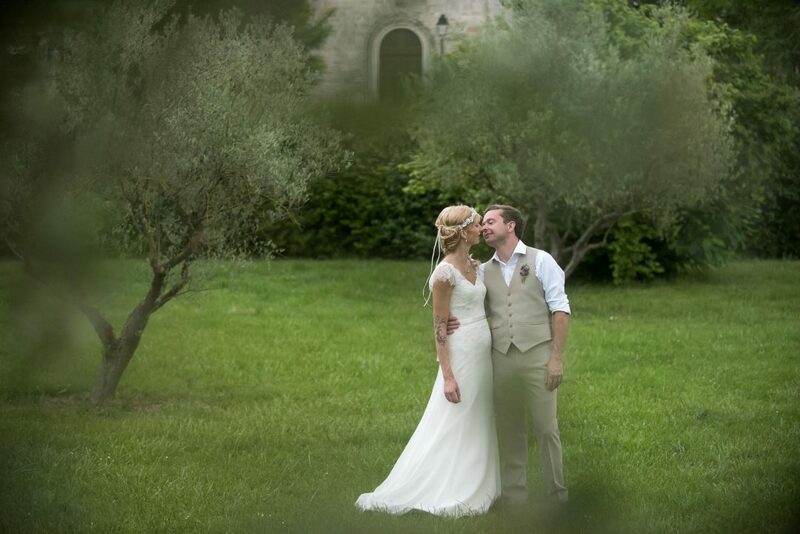 Spring weddings are always wonderful with the quality of light available, and here in this part of France, the freshness, vibrancy and scent of the gardens were intoxicating. 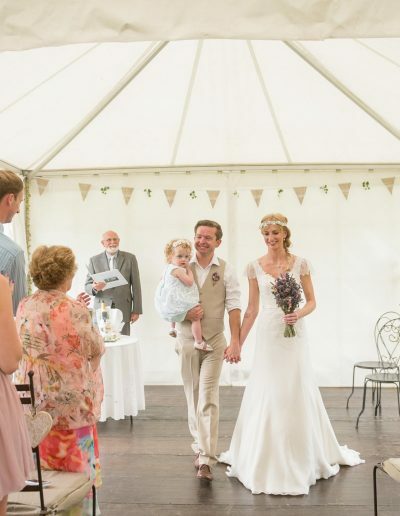 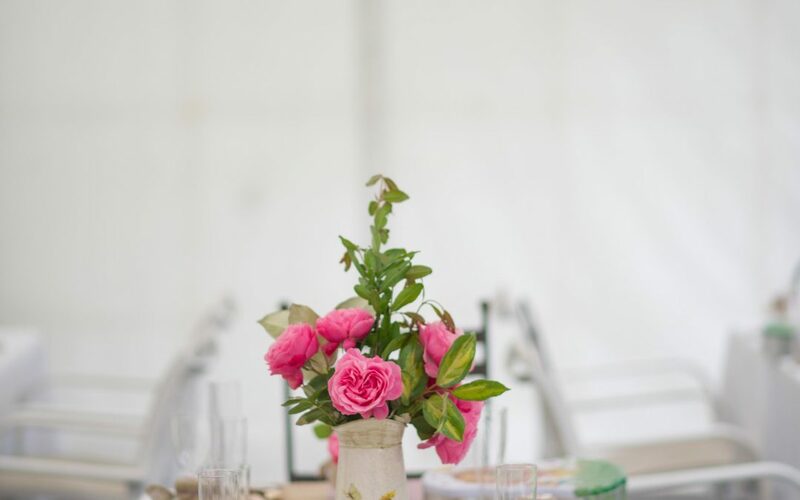 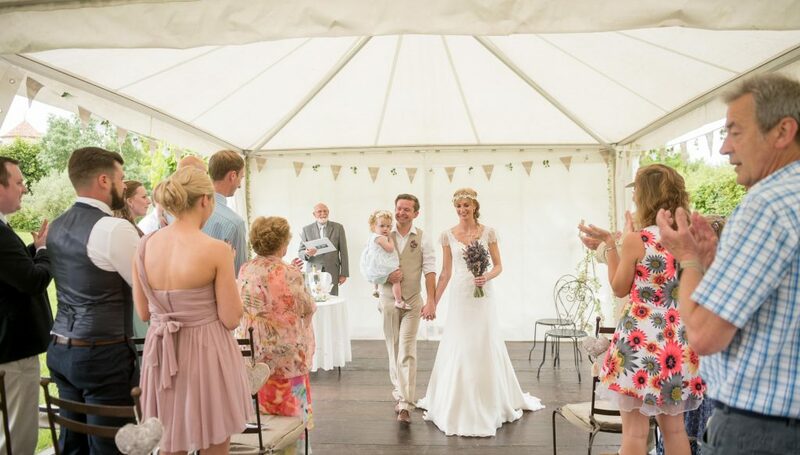 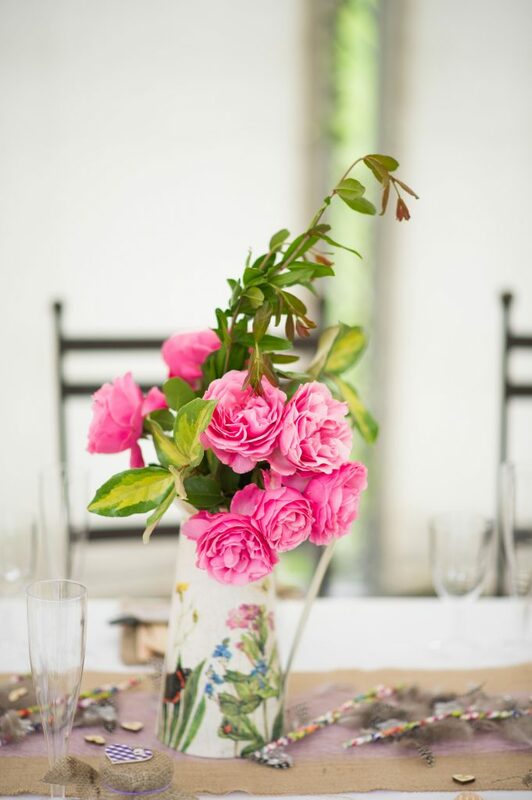 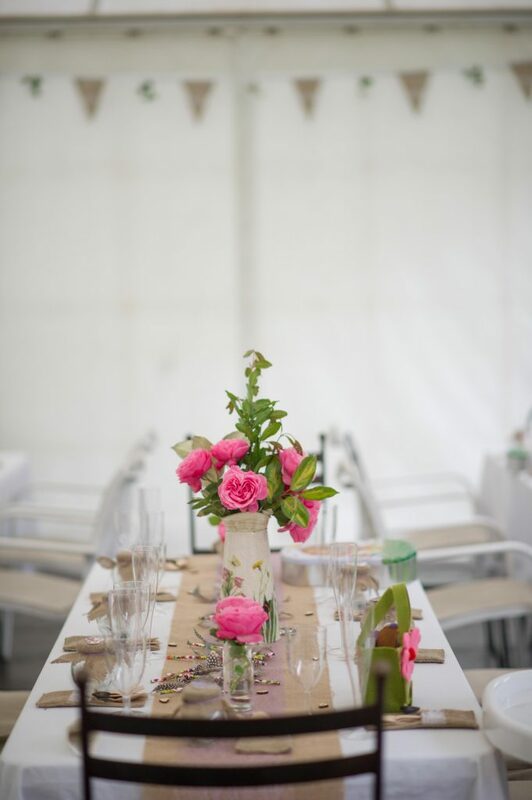 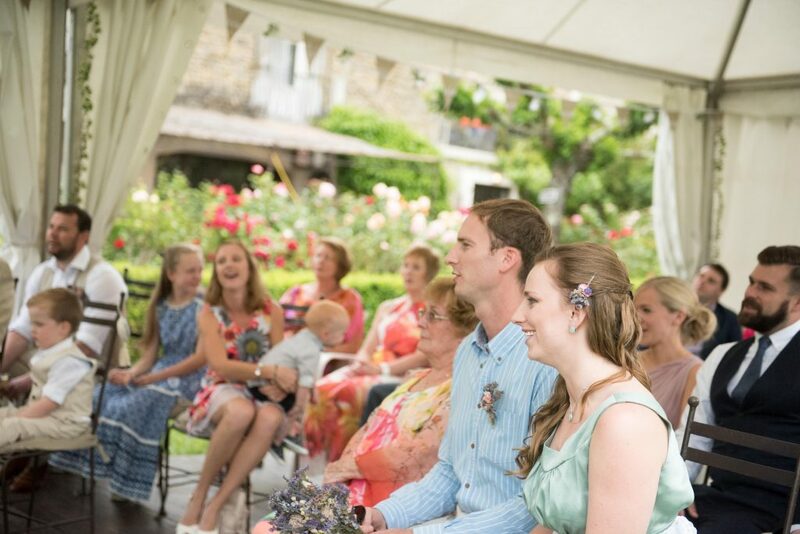 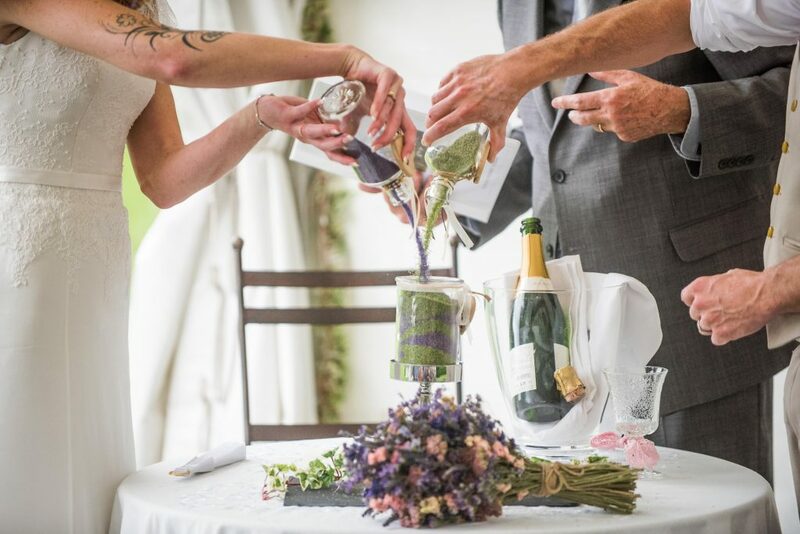 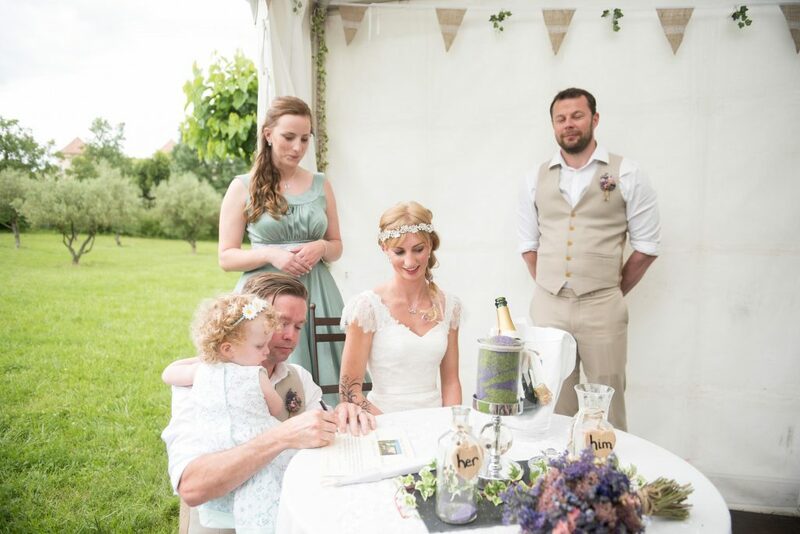 This idyllic set up enabled the whole wedding party to stay together in the flexible accommodation, just perfect for families and groups of friends. 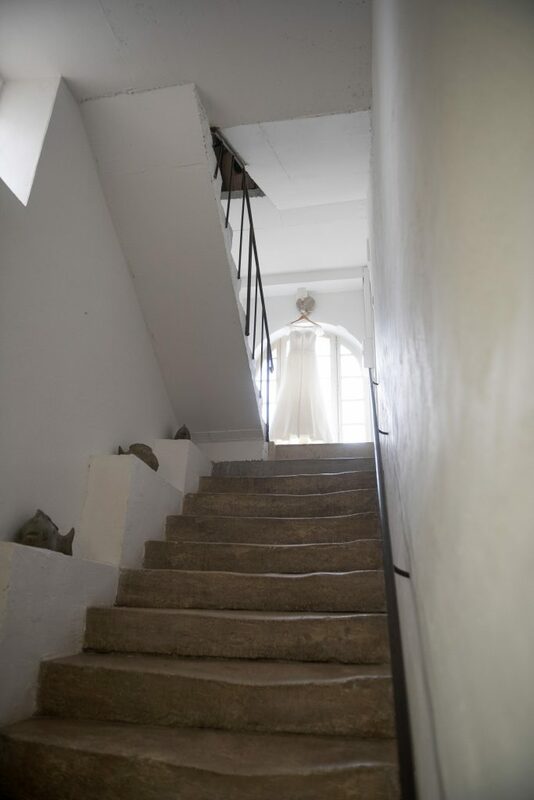 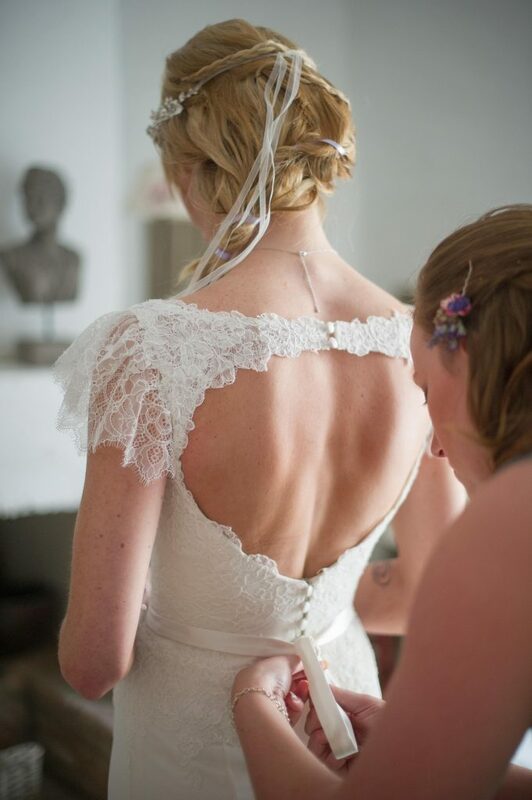 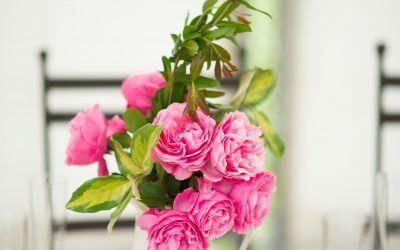 We arrived as Josephine and James were beginning their preparations in different areas of the house. 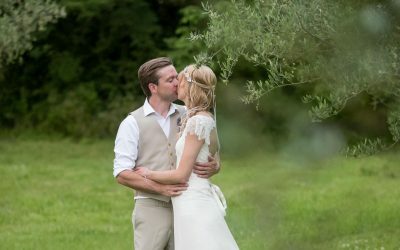 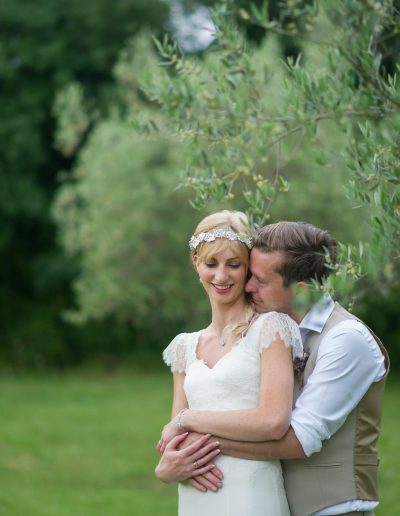 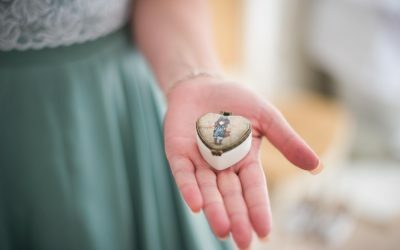 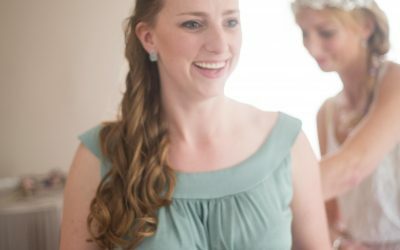 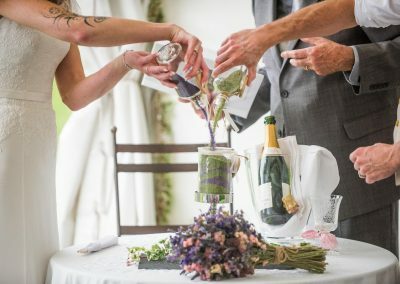 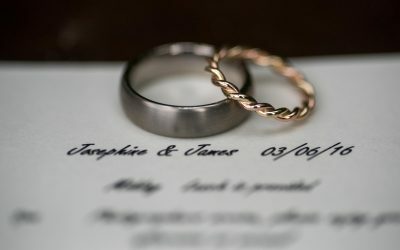 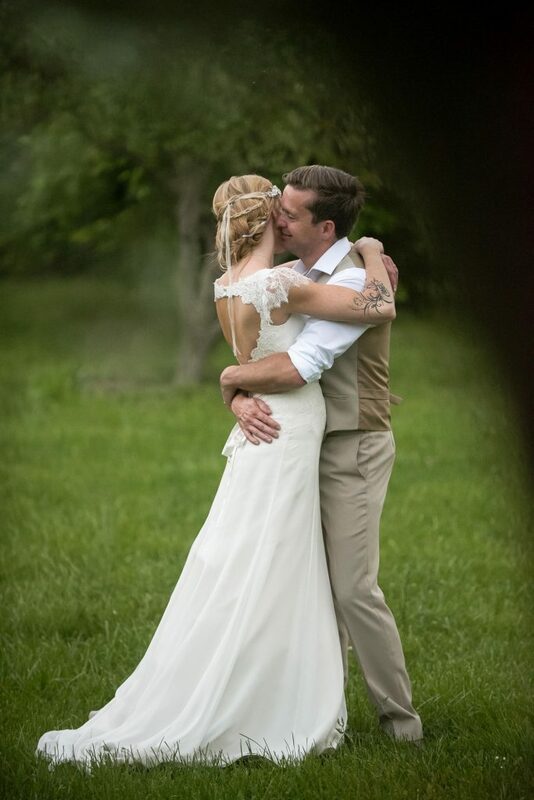 It works so well being able to offer couples two photographers for their wedding coverage. 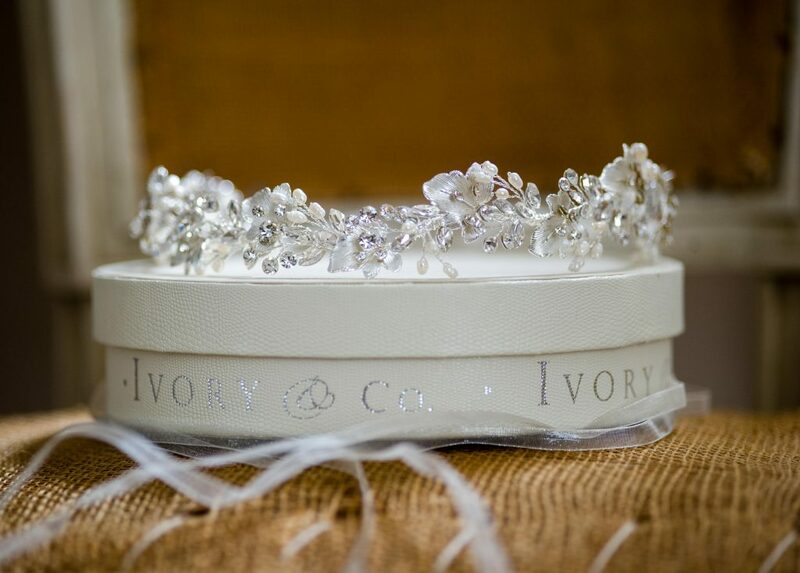 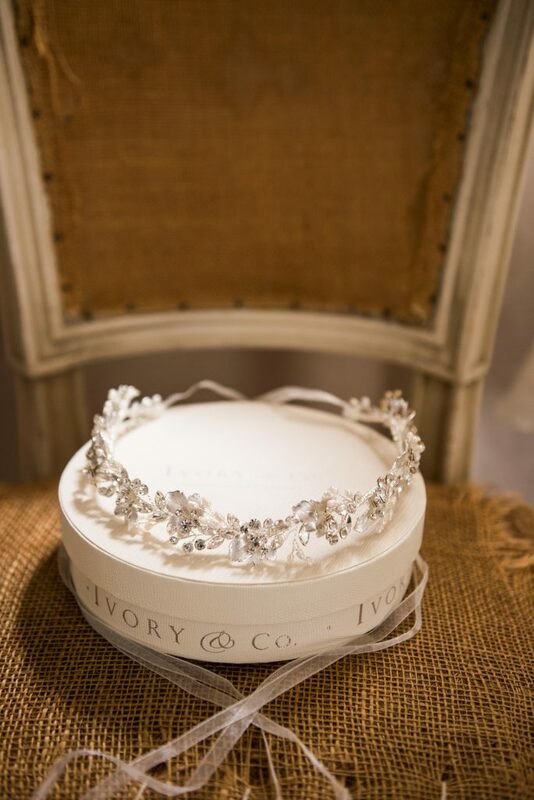 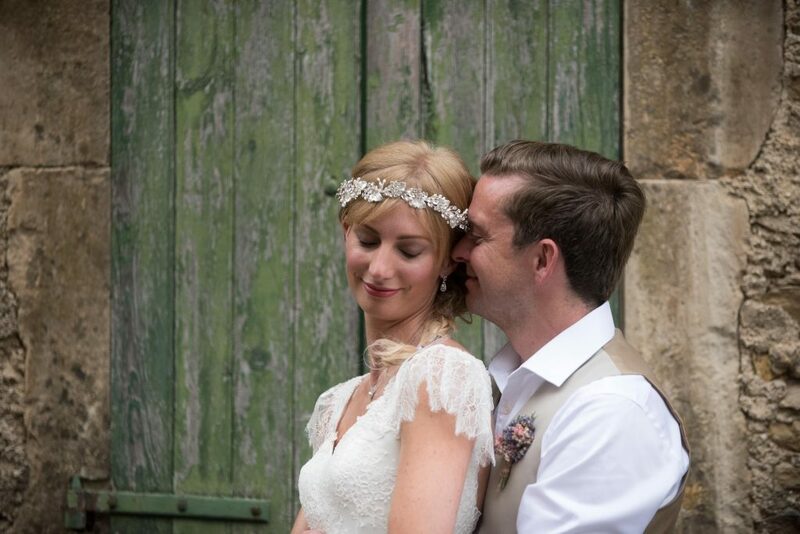 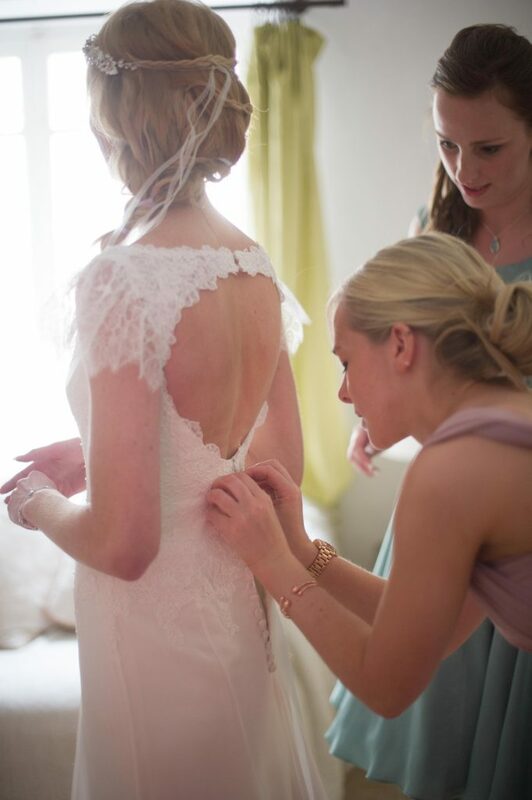 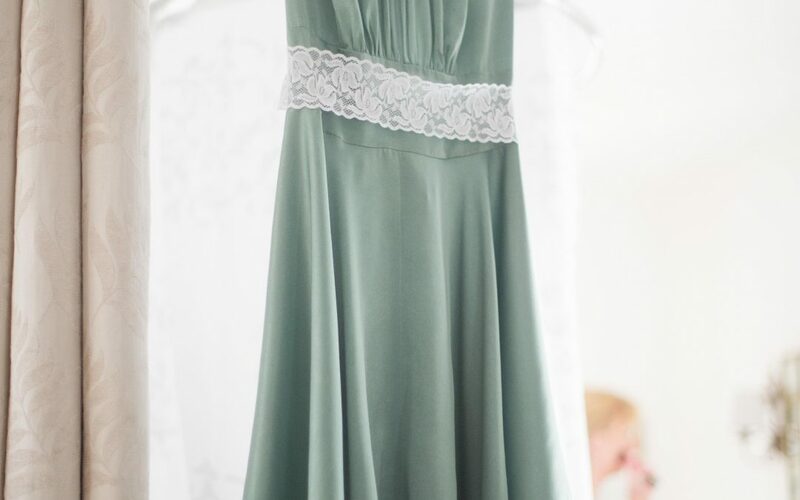 I was able to concentrate solely on Josephine and her bridal party, whilst Kevin spent time with James, his best man and his son, as they completed their last minute preparations leaving time for some photos in and around the venue. 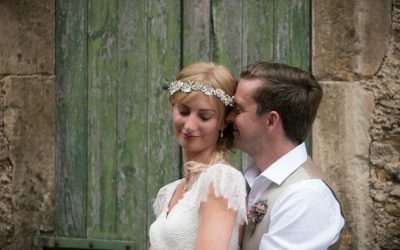 James and Josephine had requested a very laid back approach for their wedding photography, which suits our style and ethos perfectly. 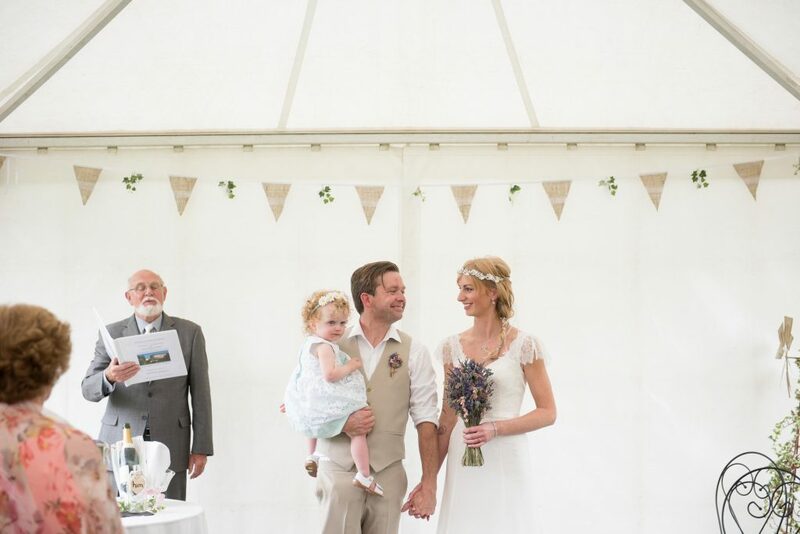 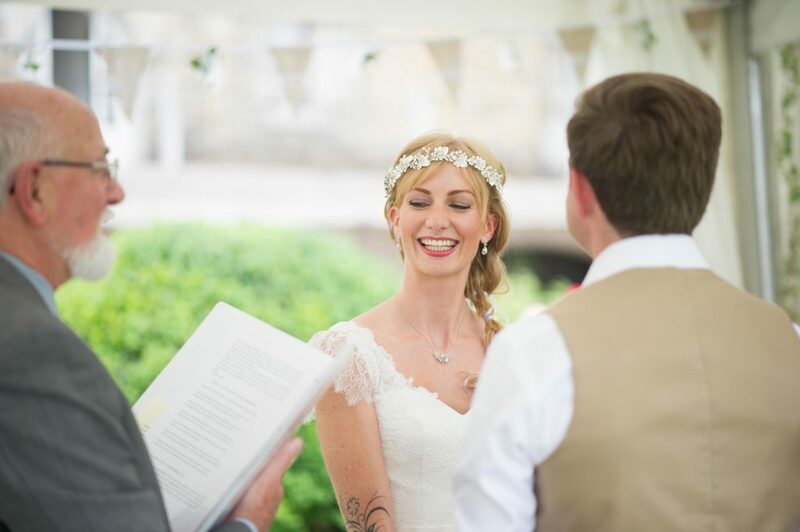 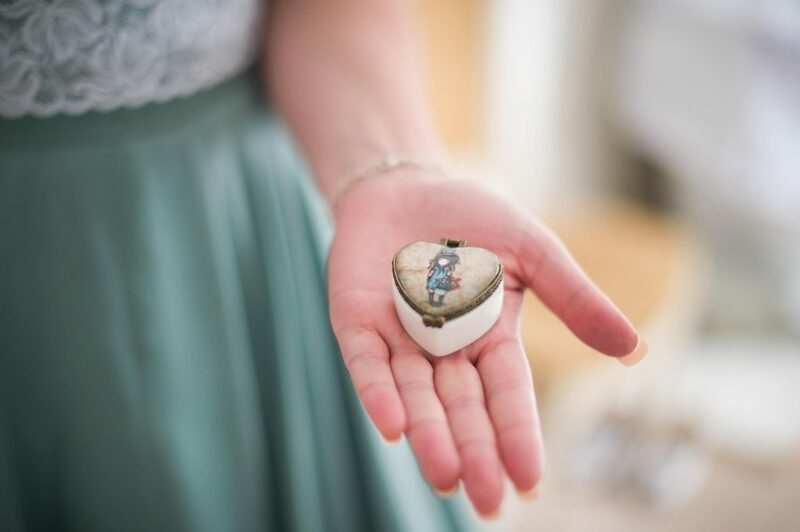 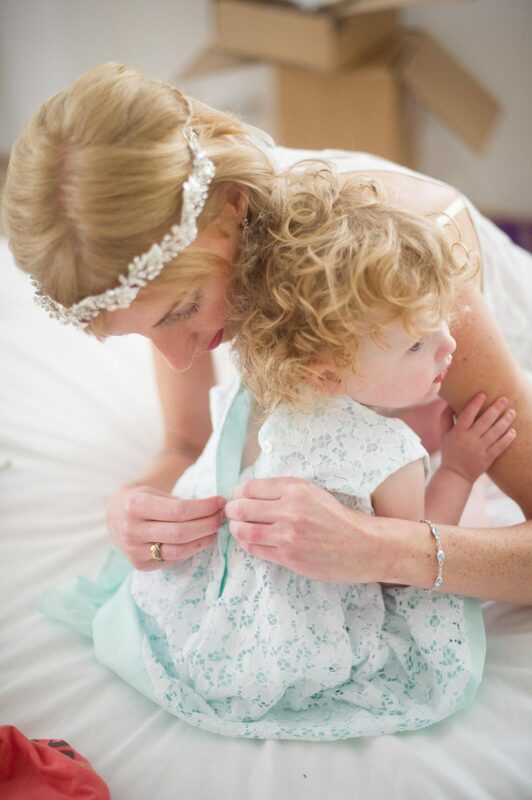 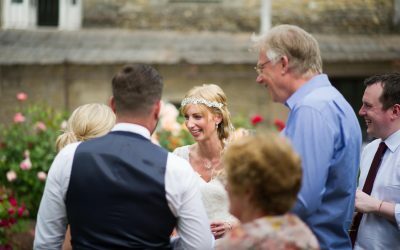 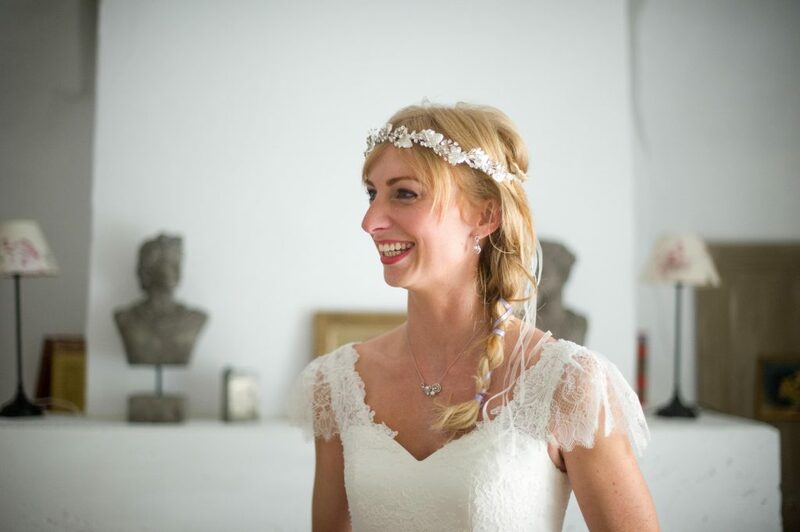 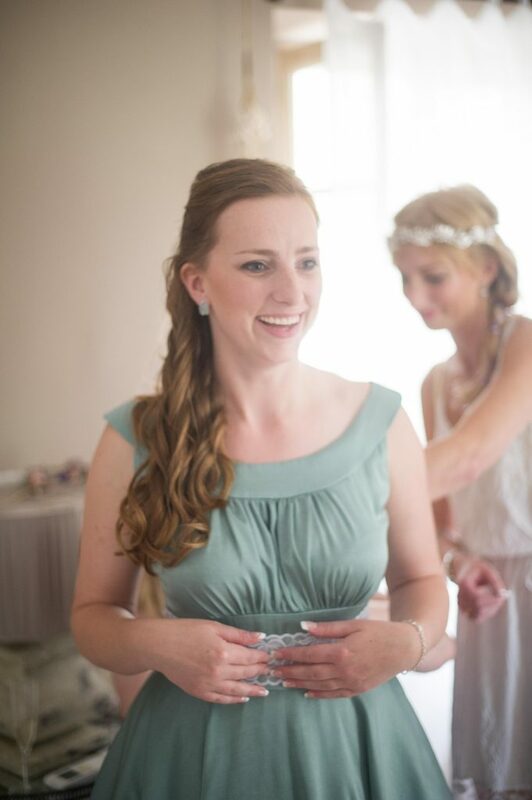 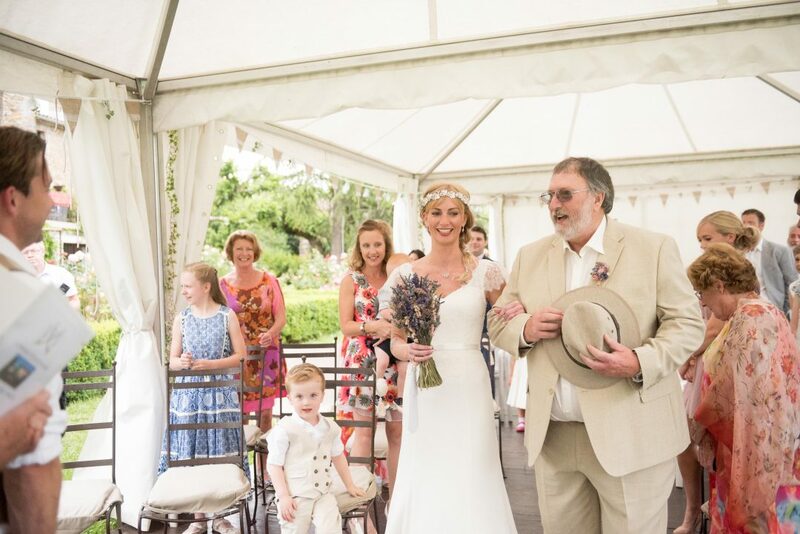 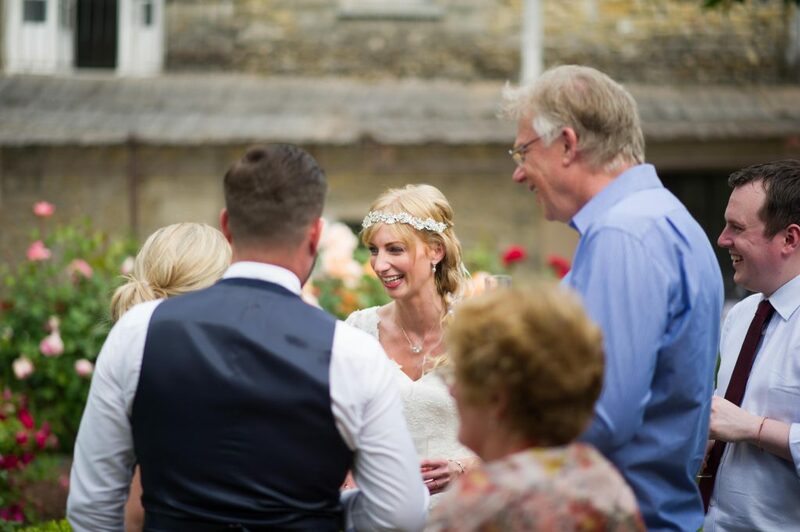 We like to blend in with guests to capture all the key moments unobtrusively, as well as all the in between moments – often the most important! 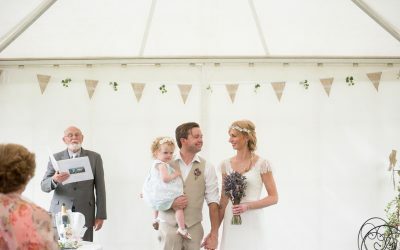 A late afternoon ceremony had been booked to take place under cover of a marquee, with celebrant Ray Thatcher from Weddings, Words and Wishes. 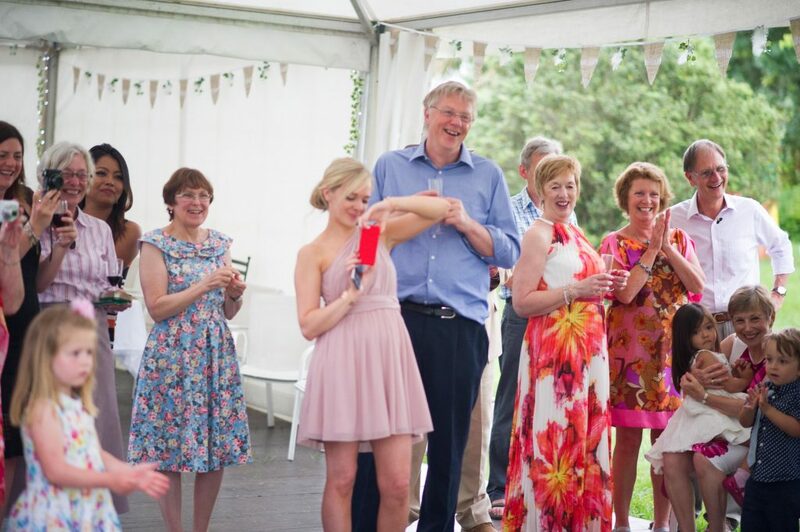 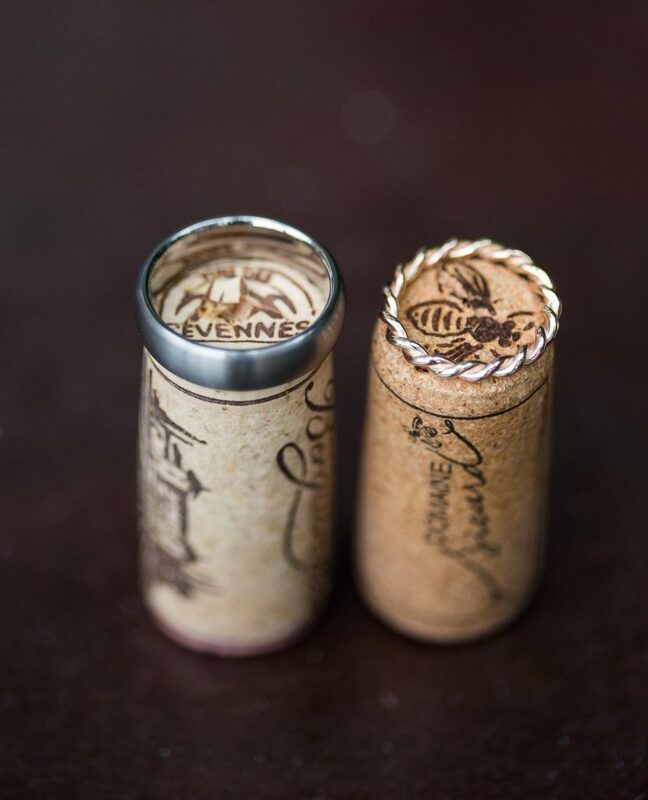 We’ve worked with Ray and his wife Cherry before, and it’s always a pleasure to work alongside them. 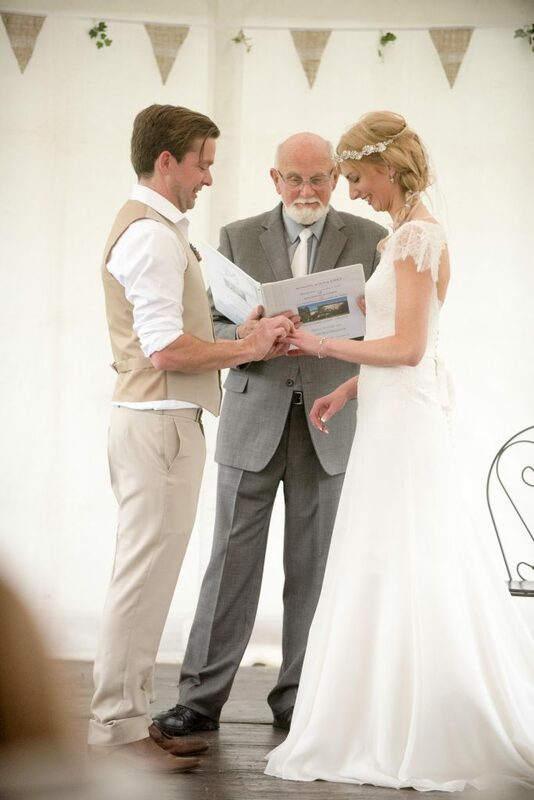 During the ceremony, James and Josephine participated in a sands of time ritual together, which is a lovely addition. 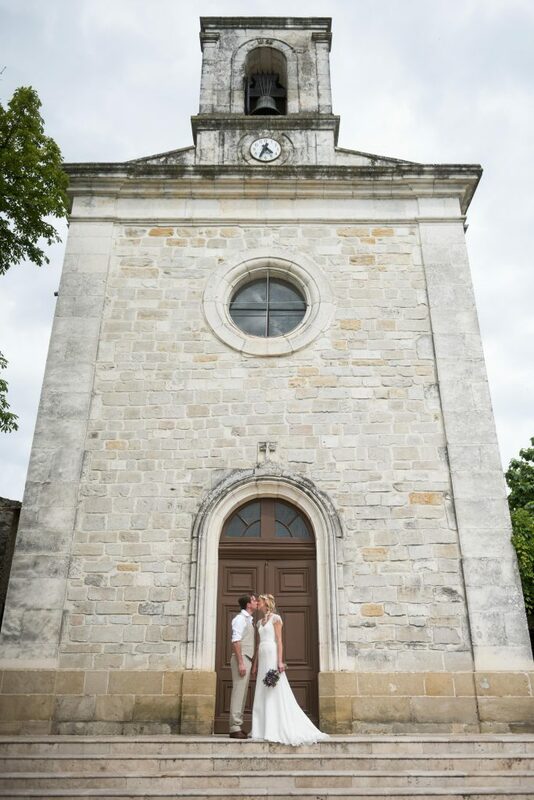 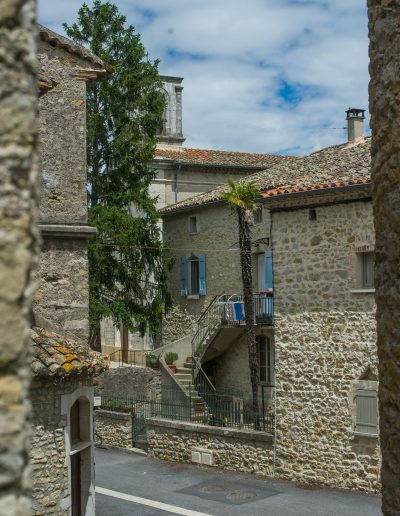 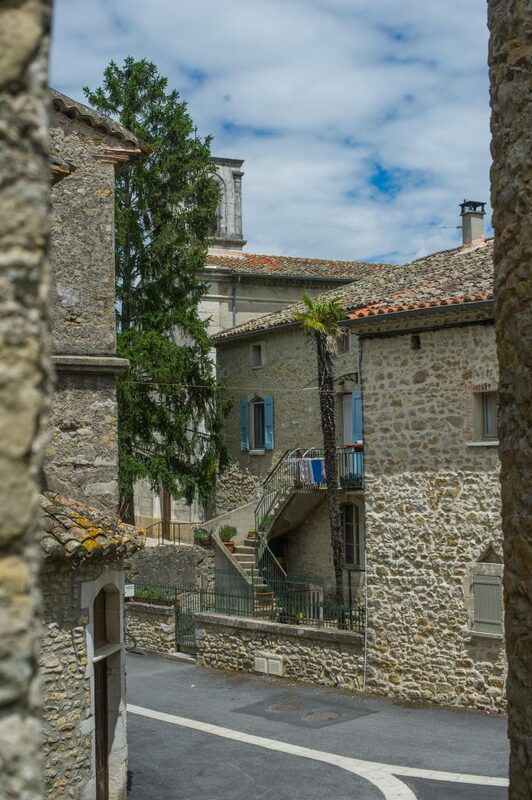 After the signing, we had a stroll around the quiet, picturesque village for some photos – we were spoilt for choice with old doorways, narrow lanes, faded shutters and the exquisite ancient church. 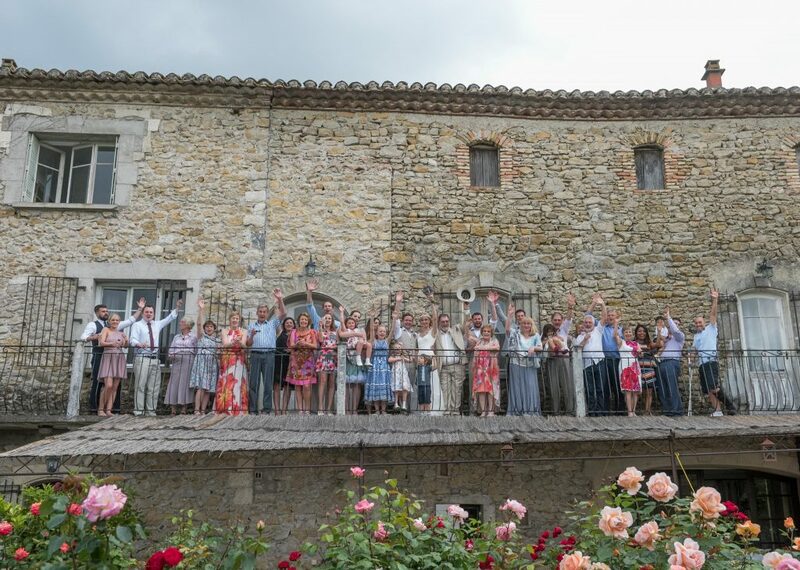 Back to join the party for some french style confetti throwing (dried lavender) and the big group shot which was taken with all of the guests standing on the balconies looking down. 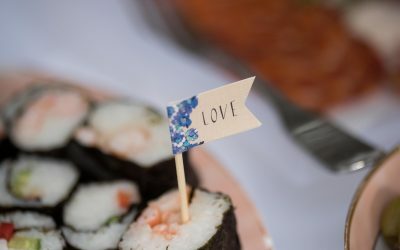 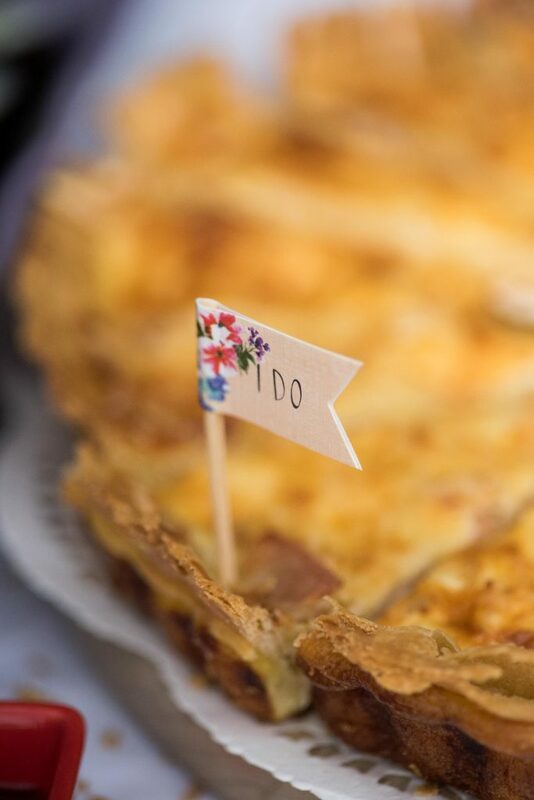 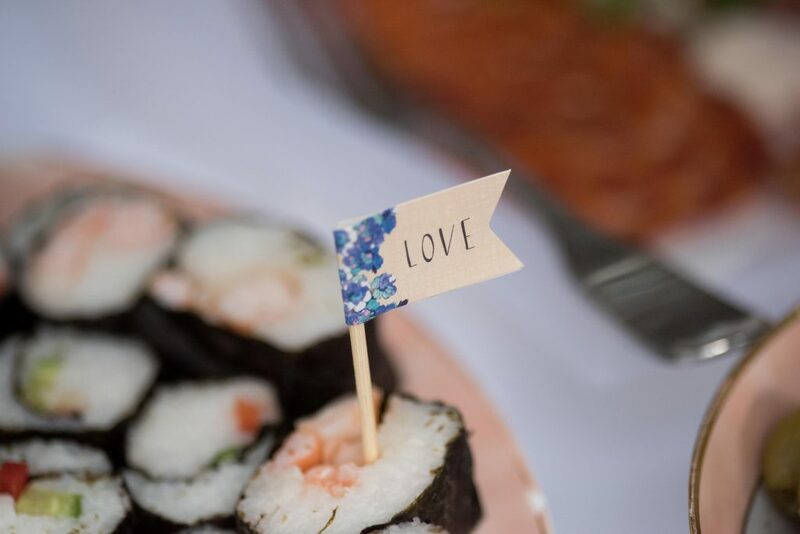 The wedding breakfast was a delicious buffet prepared by family members, served with local wine. 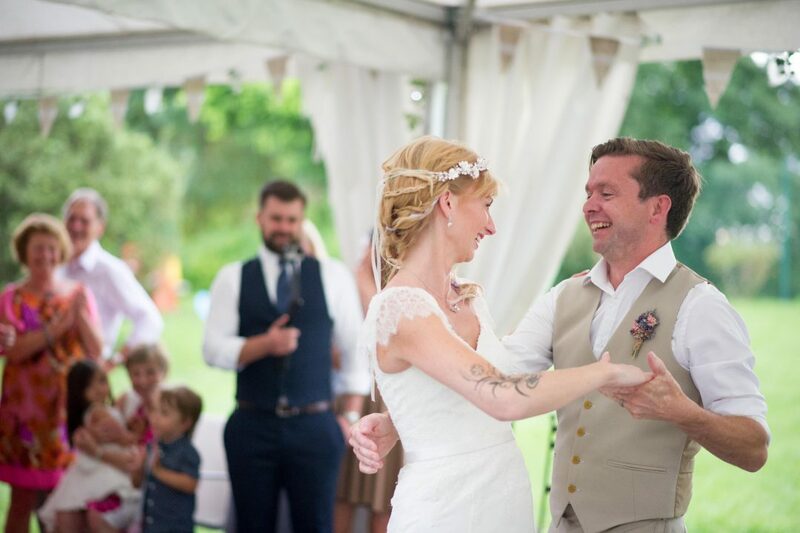 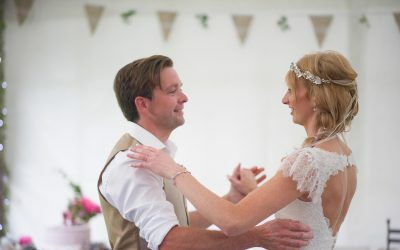 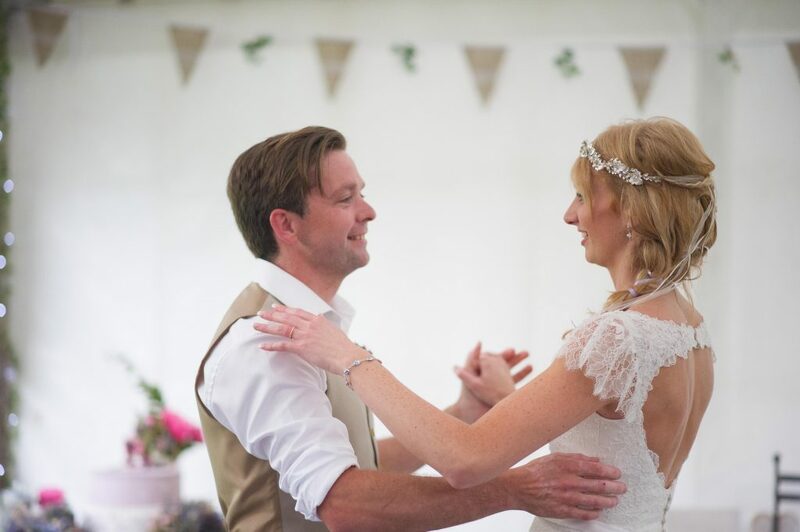 After the speeches, James and Josephine took centre stage for their first dance which was pretty impressive! 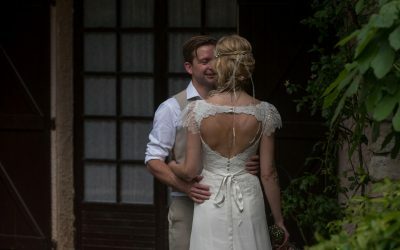 As the light began to fade, we stole away for some final photos in the grounds of the mas in the sultry night air, before capturing the movers and shakers on the dance floor. 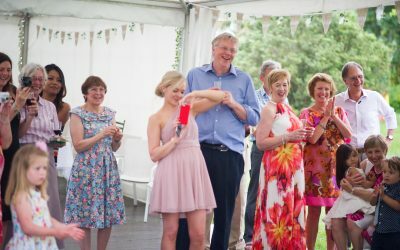 The humidity finally gave way to a storm with a huge downpour, luckily this didn’t dampen the atmosphere of the party! 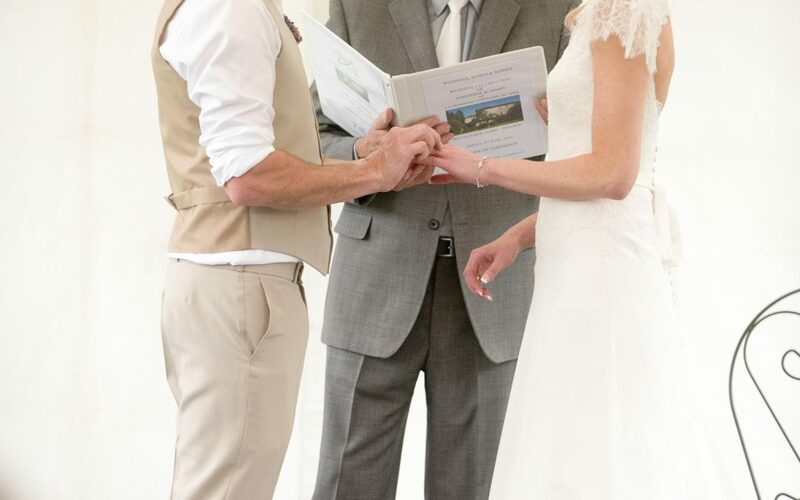 Groom’s Suit: Grooms Suit: J.W. 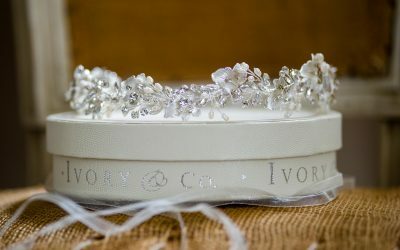 Ellison & Co.